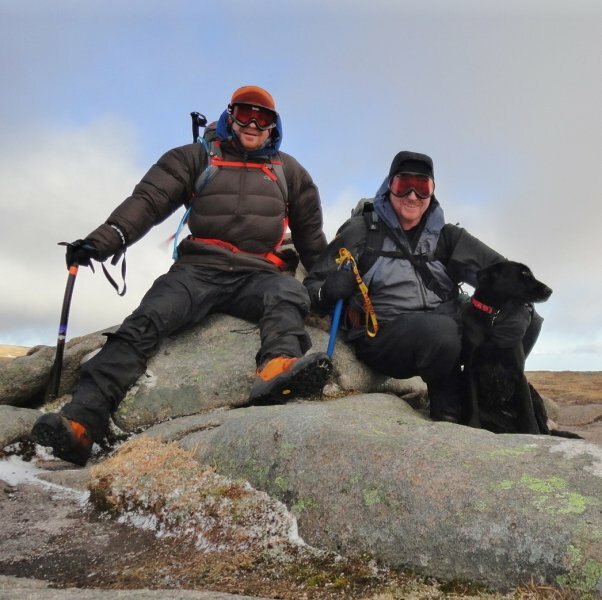 From the summit plateau, Carn a' Choire Bhoideach appears little more than a gentle rise on high moorland, yet 500m to the N are the steep crags of "The Stuic" overlooking Loch nan Eun, and 1km to the S, steeper slopes lead down to the crags of Eagles Rock. To the NW a short ridge connects to Carn an t-Sagairt Beag, to the NE a broad ridge connects to Lochnagar, a long E ridge leads down to Loch Muick and a SE ridge overlooks the Dubh Loch. 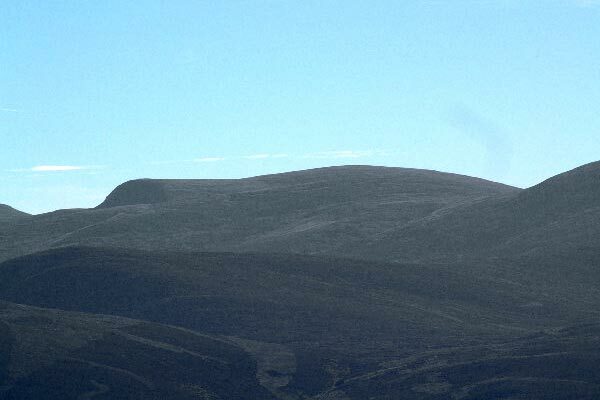 Upper slopes are gentle to moderate, but there are steep slopes overlooking the Dubh Loch and Loch Muick. Carn a'Coire Bhoidheach seen form the twin cairns on Carn an t-Sagairt Mor with The Stuc seen at the left end of the summit ridge and Cac Carn Beag visible behind. 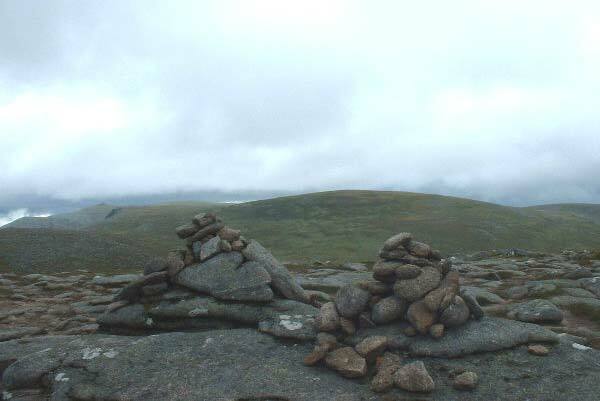 Carn a`Choire Bhoideach with the prominant north face of The Stuic on the left. 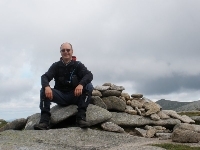 The summary information of one or more ascent routes that include Carn a' Choire Bhoideach. 1 1600 m 27.65 km 8.5 hrs Cac Carn Beag, Carn a' Choire Bhoideach and Carn an t-Sagairt Mor Lochnagar is a classic mountain with its deep corrie and steep cliffs, yet this is an easy route on paths. The other two peaks on this route are little more than high points on an undulating moorland plateau, therefore, this route is really a long walk! 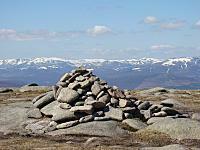 Post a few words about Carn a' Choire Bhoideach or read what others have had to say.